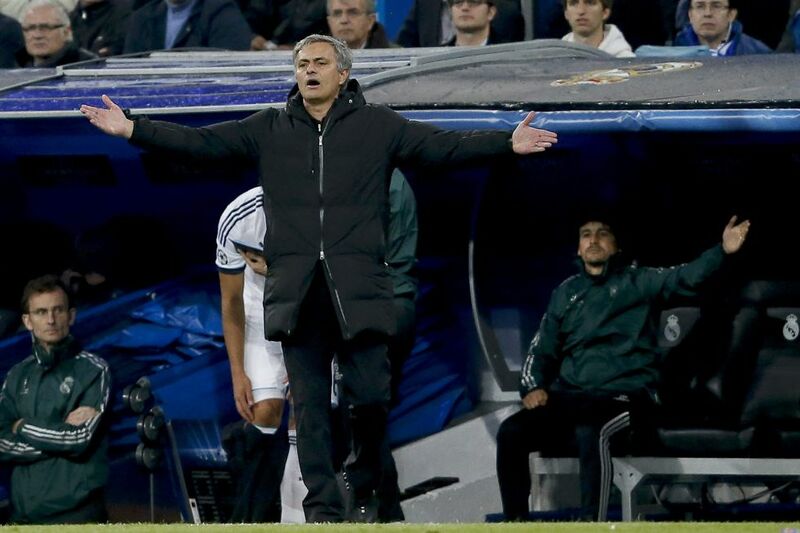 So I think it is a pretty simple analysis: Mourinho has been a failure at Real Madrid. In three years, Mourinho was able to dismantle the club’s entire organizational structure to be given complete control over all sports-related matters. Mourinho became the team’s Manager in all senses. The only thing he didn’t have control over was the club’s finances, even though now it seems that he wants to claim credit for that as a consolation prize. So, he was given total control over the wealthiest football club in the world and had his pick at the planet’s greatest players. But still what did Real Madrid achieve? One League and one Copa del Rey. Let’s be honest with ourselves. No one in Madrid cares about either one. Madrid has a one track mind: Champions League. The Liga is what you want when you don’t win Champions, and La Copa is what you cling onto when you didn’t win the league. Now some diehard Madridistas will say, look, we have had a tough few years because we were facing the greatest Barcelona in history, arguably the greatest team ever. And look, we were able to drastically cut the distance between us and them under Mourinho’s reign. Furthermore, we dominated Barça in our face-to-face matches all year long. To that, the answer is easy: Barcelona was just manhandled by Bayern Munich 7-0 in the aggregate. No matter how well Real Madrid played against Barça this year, it never came close to destroying Barcelona the way Bayern did. Thus, we can only conclude two possibilities: either Barça is just that much worse than it used to be – meaning that Real Madrid didn’t improve, rather Barça has imploded – or both Real Madrid and Barcelona are child’s play compared to Bayern. But more importantly, if Mourinho and Real Madrid’s huge impediment to triumph these last few years was the out-of-this-world Barça, then why was Madrid eliminated two years in a row – not by Barça but – by German teams? That’s because Barça has had nothing to do with Real Madrid these past two years in Champions. The fact is that, especially evident this season, Mourinho simply has not been up to the task. He had everything that he asked for, yet he couldn’t beat Borussia Dortmund. How is it that the world’s greatest coach at the world’s most successful and wealthiest team, haven been given total control of the helm, cannot eliminate a team where not a single player would have started for Real Madrid. With all due respect, but there wasn’t a single internationally recognizable player on the whole of the Borussia squad. Look, I admit that I like Mourinho. I think he is a special coach. But let’s be objective. Real Madrid had an amazing showing last year in La Liga, but if you are a real Real Madrid fan and honest with yourself, then who cares? No Champions in three seasons, and you’re a failure. Plain and simple.